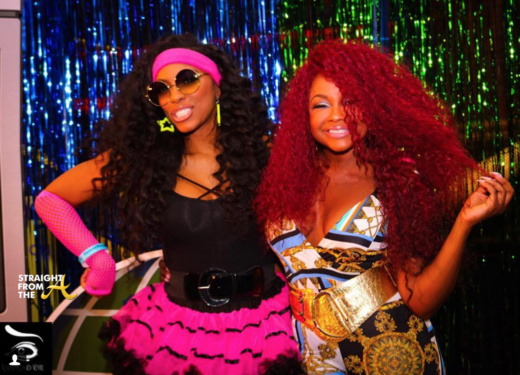 Former reality TV BFFs Porsha Williams and Phaedra Parks were apparently cordial enough to pose for a few photos this past weekend during celebrity stylist Jeremy Haynes (aka No IG Jeremy)’s 80’s themed birthday bash. Frick and Frack were once inseparable on The Real Housewives of Atlanta after forming an alliance that eventually got Parks booted from the show, but Atlanta is way too small to hold a grudge. Other attendees included, Tameka “Tiny” Harris and LaTocha Scott of Xscape, Zonnique Pullins, Reginae Carter and more.